What a relief! It’s great to wear a hat in the summer for the sun protection, but now, there’s an added benefit with the fantastic Bluebandoo (fun name to say!) Cooling Headwear! The patented design contains special little crystals that you soak in water for a mere 5 minutes, and they remain hydrated and keep you cool for hours! Amazing! We tried their Sport Capbandoo and their Bandoobrim. Both are great with dual channels containing the cooling crystals and have adjustable bands to hold the coolness tight against your forehead. The Capbandoo is a nice, low-profile, baseball-style cap with mesh inserts and comes in 5 colorways. 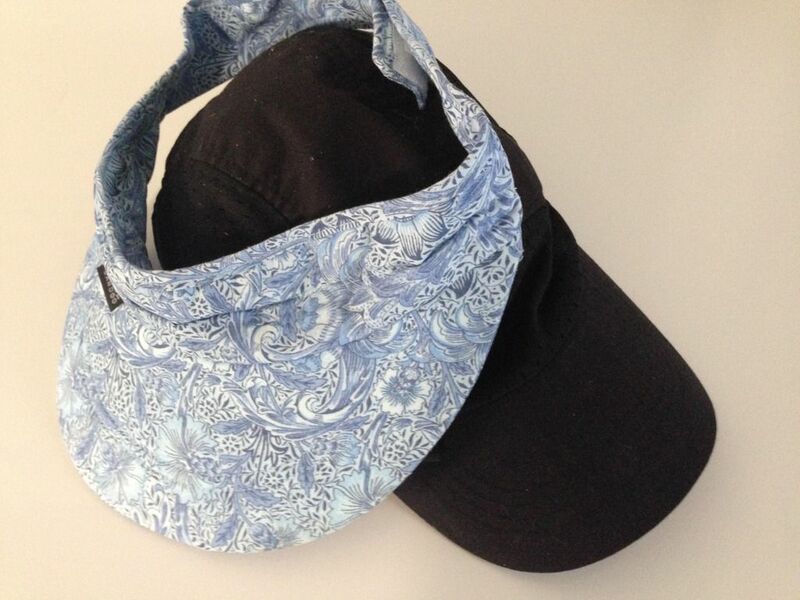 The Bandoobrim is a sun visor with a good-sized brim that provides excellent sun protection for your face and eyes, and it’s reversible, so you can flip it midway through your run for added refreshing comfort. It comes in such a huge variety of solids colors and prints that you’ll have trouble settling on just one (so maybe choose more than one!). An awesome TrailblazerGirl find for all your outdoor activities!